Colombo: Sri Lanka's ousted prime minister Ranil Wickremesinghe emphatically proved his majority in Parliament on Wednesday, weeks after being sacked by President Maithripala Sirisena in a controversial move that plunged the island nation into a political turmoil. The motion's approval could be seen as a blow to Sirisena who has steadfastly refused to reappoint 69-year-old Wickremesinghe due to his personal dislike of the ousted prime minister. Rajapaksa has so far failed to prove his majority in Parliament. The main Tamil minority party Tamil National Alliance (TNA) voted in favour of the confidence motion. However, the Marxist Janatha Vimukthi Peramuna (JVP), which has protested Sirisena's extra constitutional action, abstained from voting. If the JVP's six lawmakers had voted in his favour, Wickremesinghe would have commanded an unassailable majority in the House despite the president's refusal to reinstate him. Sirisena's United People's Freedom Alliance (UPFA) continued its boycott of Parliament when Sajith Premadasa, Wickremesinghe's deputy, moved the motion in the morning. Premadasa urged Sirisena to end the 26 October unconstitutional action and reinstate Wickremesinghe to take the country back to the pre-26 October position. Speaker Karu Jayasuriya later adjourned the Parliament session until 18 December. 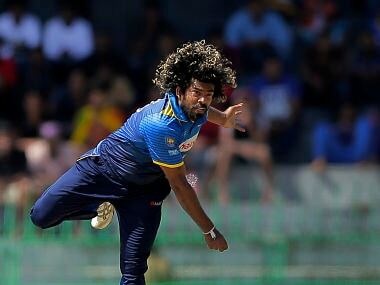 "Meanwhile, UPFA MP Keheliya Rambukwella said that they do not accept the motion of confidence presented and passed in support of Wickremesinghe in Parliament," Daily Mirror reported. Legislators supporting Sirisena and Rajapaksa have been boycotting Parliament since 17 November when there were violent scenes of fighting, breaking up of furniture and throwing chilli powder. Two key court orders on the legality of Sirisena's action await delivery. The one on Parliament's sacking is expected this week. Sirisena, after sacking Wickremesinghe on 26 October, dissolved Parliament and called for a snap election on 5 January. However, the Supreme Court overturned his decision. 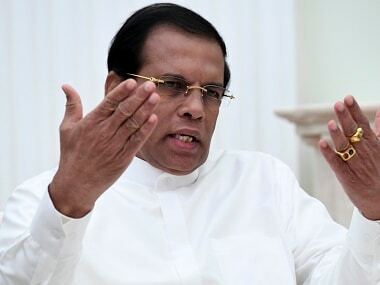 Sirisena said that he has always taken decisions in the best interest of the country and the people. Sirisena has said that Wickremesinghe is a stubborn, headstrong person who was following far right wing neo-liberal policies. Wickremesinghe and Rajapaksa both claim to be the prime ministers with the former claiming that his dismissal is invalid because he still holds a majority in the 225-member Parliament. The President has said that due to sharp personal differences with Wickremesinghe, he would not reappoint him as the prime minister. However, UNP claims that Sirisena will be left with no choice as he would be the man who will command the confidence in the House.